So glad to have Fancook arrange Crab Kaseiki the new year dinner at the newly opened Edo Japanese Restaurant. Japanese starred chef was rigorous in regard of skill, presentation and the taste. We were pretty confident that we would have a decant and tasty new year dinner at Edo. 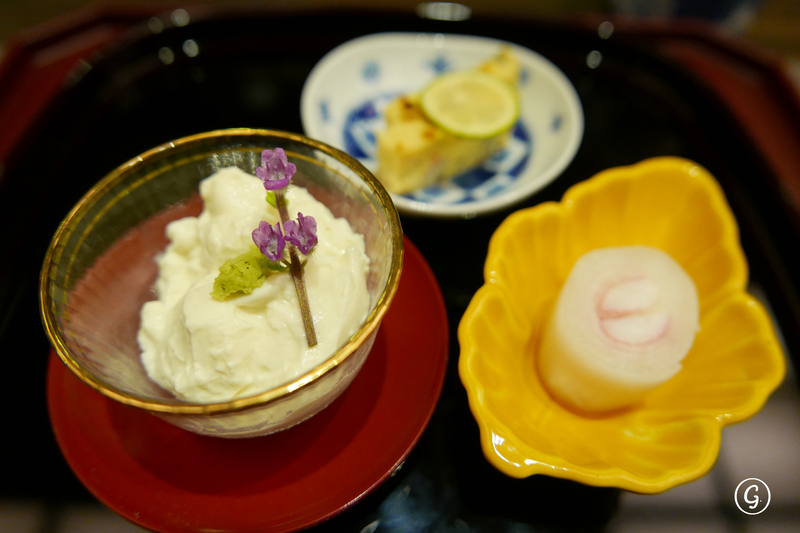 The appetizer, the crab meat and tofu with cheese, was an absolute beauty with the basil flowers as you may see. 3 different types of crab were served in the Crab Kaiseiki, the Snow Crab(Matsubagani), Househair Crab and King Crab (Tarabagani). The steamed eggs with snow crab meat and miso sauce was presented delicately and the sweetness of the crab meat was very prominent. Small hotpot was a course that couldn’t be missed in Kaiseiki. The snow crab and oyster hotpot was such a delight. 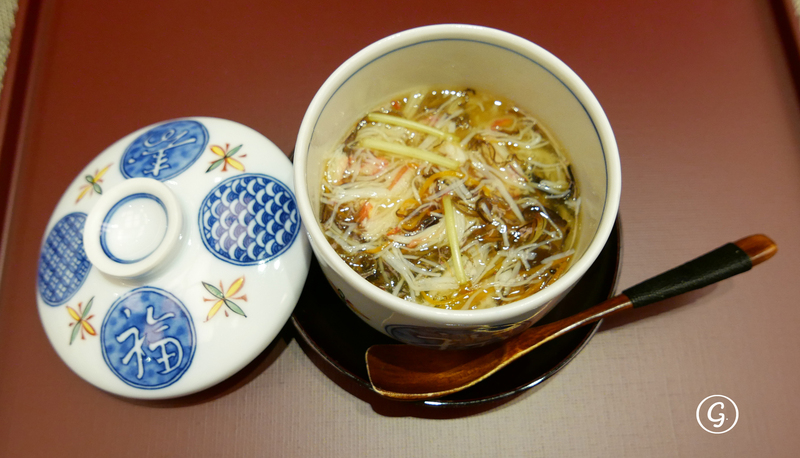 Freshness of the crab and oyster was well carried out in the soup. The tofu inside was so smooth and tasty. Most of the seafood at Edo was imported directly from Japan. 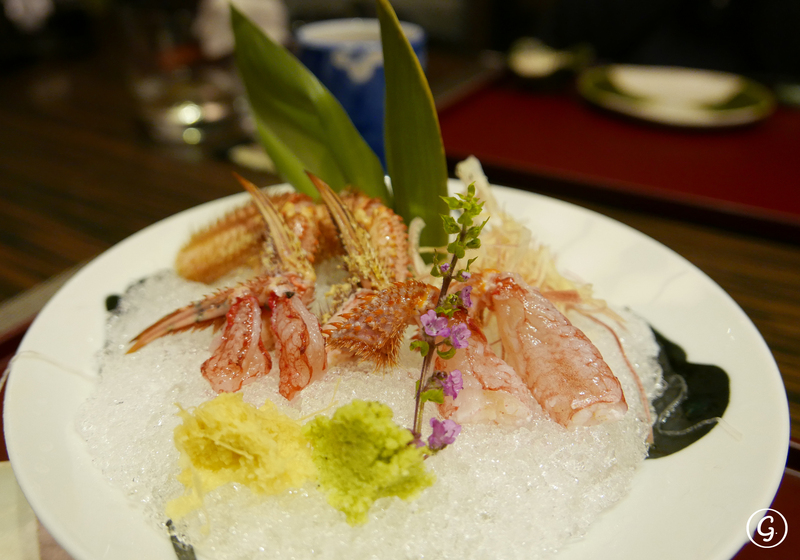 We had the chance to try the sashimi of horsehair crab together with marinated crab. The texture was completely different and the freshness of the sashimi was incomparable. Just a bit of basil flowers would make the sweetness more outstanding. 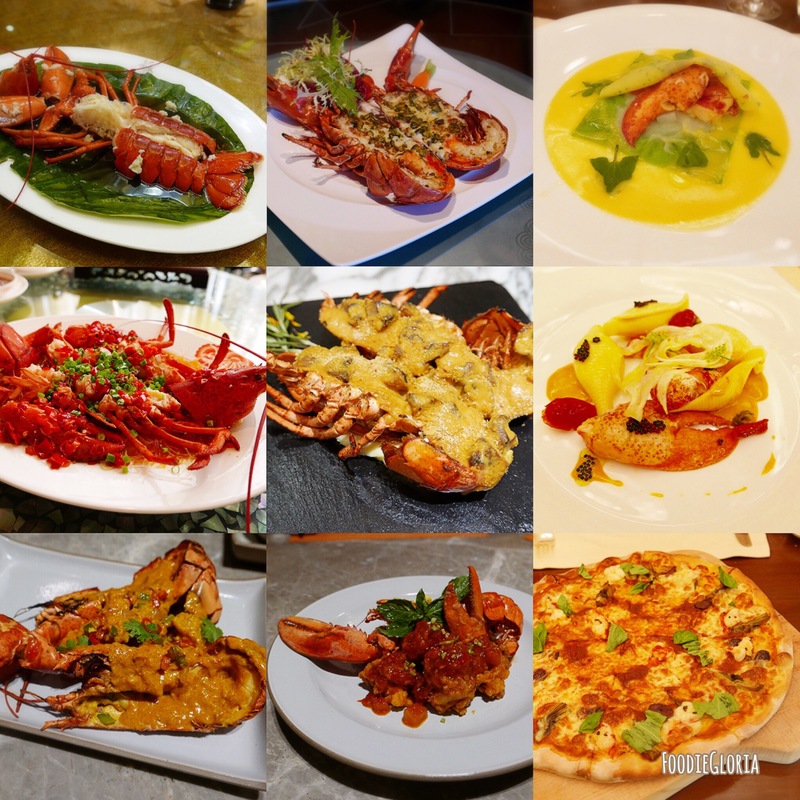 King crab would definitely be no strangers to Hongkongers. The king crab legs tempura was so crispy and right at the temperature. A little bit of crab roe added some saltiness to it. 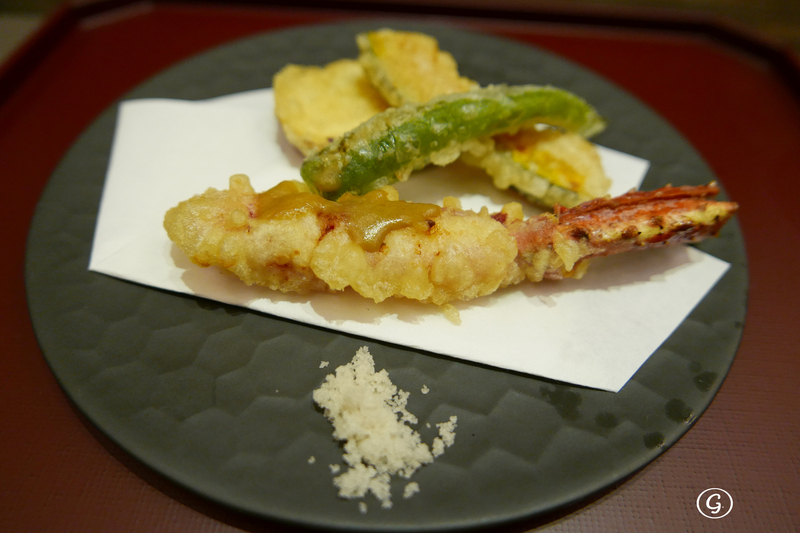 The okra and pumpkin tempura was very fresh and wouldn’t need much seasoning but some sea salt to enjoy the best taste of it. Heard that Edo imported the Snow Queen Rice directly from Japan, which the rice was a bit more round and the texture was a bit chewy. The Salmon and Salmon Roe Kamameshi on our menu looked very attractive, while it tasted slightly with the wooden flavour. However the moisture was well remained and the rice absorbed the juice of the salmon that made it more tender. 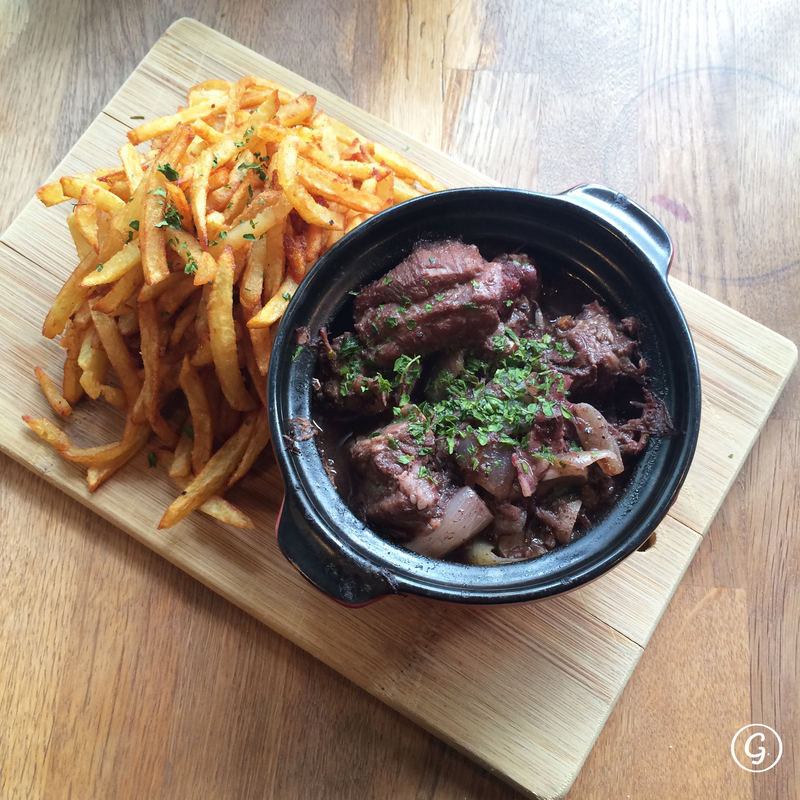 It was such a good start of the year of Goat. Wish you all have a prosperous year!